The annual task of sourcing the Christmas Day turkey normally falls to my brother, who being in the trade, knows what he’s looking for and where to get it. Sourcing the turkey and picking it up are separate tasks, and the job of actually transporting Rob’s carefully hunted prize birds usually falls to Dad. Last year, things went a bit awry. Dad decided that a Christmas Eve drive to a far away butcher was too much trouble. Really, he was just getting on a bit, and didn’t relish the prospect of carrying three large turkeys any distance at all, even just from the shop to the car park round the corner. So, he began enthusing about these apparently incredible turkeys from a butcher close to the swimming pool he used. Top quality, he kept saying. Dad, being Dad, didn’t bother to ask how much before ordering (I mean, really, who doesn’t find out the price first? ), so the cost come Christmas Eve was quite the shock, but we got a perfectly good bird each, which came nicely boxed, with cooking instructions on a glossy leaflet, a complimentary sprig of rosemary and a certificate. My turkey came with a certificate to prove its ‘authenticity’. We paid handsomely for all that marketing, all of that presentation and ‘added value’. It all made me wonder how much I’d paid for ‘turkey’ and how much I’d paid for ‘marketing guff’. The turkey is such a big part of Christmas – literally and figuratively – and it’s right to want to do a good job, to push the boat out a little, but, as we learnt in slightly awkward retrospect, there are good deals to be had if you know a thing or two about how turkeys are raised and go armed with a couple of good questions for your butcher. The first thing to know is that a bird doesn’t need a certificate or a fancy box and a hefty price tag to be good. 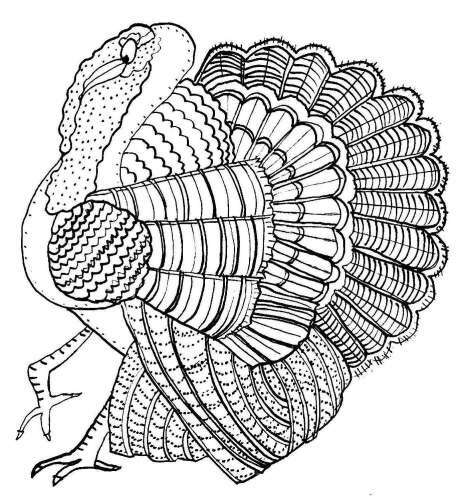 Whether a turkey is good or not is dependent on how it was raised, and how it lived its life, and that’s true of all meat and fish. Look for a bird that’s been grown in a small flock, free-range, hatched in June or July so that it’s slightly older and more mature than it’s intensively reared cousins come December. A bird that’s spent more time growing will be more flavoursome. That longer growing season is a commitment on the part of the producer, though. More time means more feed, and more cost. A farmer will only do this if he or she is bothered about quality, which is all they should be bothered about. The feed should be grain-based, rather than high-protein meal, designed to make the turkey grow quickly and put on more weight, faster. A slow-grown bird has no need to bulk up quickly, and that shows in its meat. Once December comes, your turkey should be dry plucked. Most commercial birds are plucked mechanically, which involves an awful lot of hot water to loosen and wash away the feathers. That water soaks into the cavity and into the meat, and can cause the bird to go sour, and because of that risk, mechanically plucked birds can’t be hung for any real length of time at all, so the meat doesn’t have the chance to mature and develop flavour in the same way that a dry plucked bird has. Dry plucked birds are normally hung with their guts for up to and over a fortnight. Some of the big boys of the turkey world do grow decent birds. Copas and Kelly certainly do it right, but there are plenty of small, local producers doing exactly the same thing and producing top quality birds without the benefit of a big marketing budget, and it’s these producers that you should look out for. My mother used to keep turkeys on the farm when I was a boy, for Christmas, and sell them at the farm gate. I still believe she produced the best turkeys available, matched by the lady who supplies us now, using the same old method. That old method, as David continued, was slow growth for a free-range bird, dry plucking and a good long hang with the guts in. It’s an age-old method, but one which many of the large producers have ‘modernised’ at the expense of their end product. David mentioned that he’d been on holiday to France, to the Champagne region, and tasted some phenomenal wines in the villages away from the big champagne houses, for a third of the price. The same is true of turkeys. Look around, look for a good local butcher who buys from a good local producer who does things the proper/hard way. Your bird will be more expensive than a frozen supermarket abomination, but it’ll likely be cheaper than the type that come in a box with a certificate and a complimentary sprig of rosemary. The picture above is by Trudi Murray, sister and illustrator. Have a look at her website – she’s really good, but don’t tell her I told you. Terrific information! I’ll be honest – I’ve always gone with the big guys and had no idea that there was such a difference! Thanks for sharing! Honey Bunny and I go out on Christmas for a romantic dinner for two, so I don’t have to worry about this year – but Thanksgiving might be another story! Thank you for this Rich. I hope you and your family enjoy your Christmas meal thoroughly! In Germany, geese are the holiday birds. We get ours from a colleague of my dad’s 🙂 Very fresh, happy, and tender.